Inserting an Events block into your email or landing zone gives you the ability to add event details into emails. 2. Select 'Insert Events Block' on the right-hand side of the editor. This is for your use only and will not be seen by contacts. It helps you to identify different blocks within your email, especially if you have more than one block. Clicking on each layout will enlarge it for you as a preview. 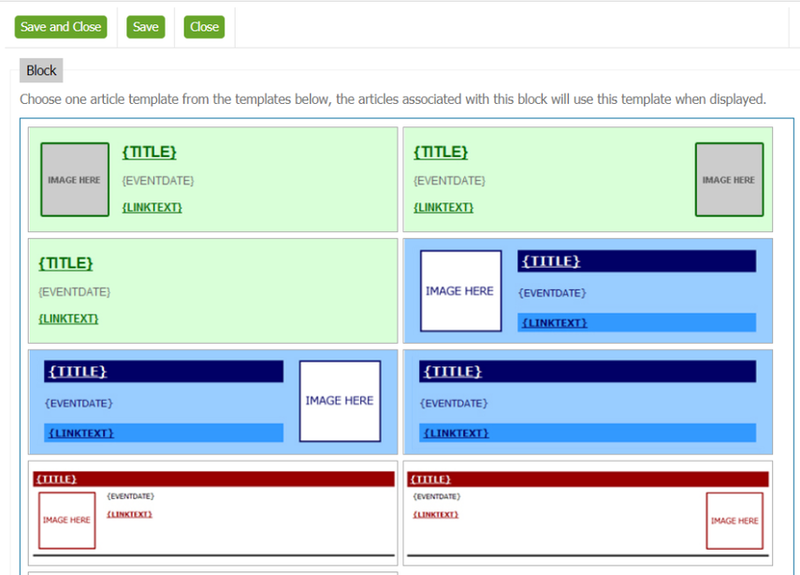 If, after clicking on the template design, you wish to use it then select 'Use Template'. 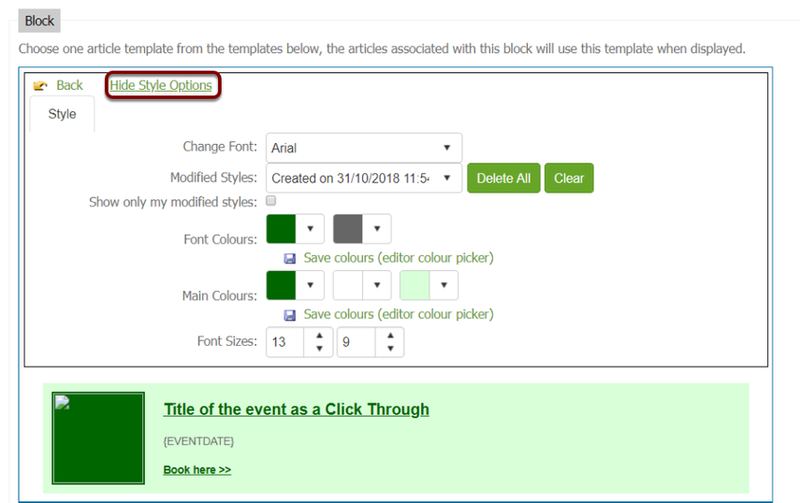 Clicking on 'Show Style Options' allows you to customise your Event Block. Once you are happy with your style options click 'Save & Close' and your Event Block will be inserted.